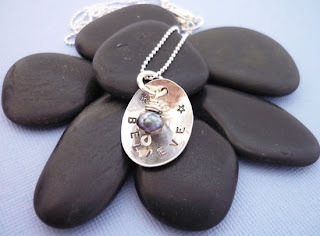 MiShel Designs: My Fat Chance Give-A-Way Fun! My Fat Chance Give-A-Way Fun! Woo Hoo! 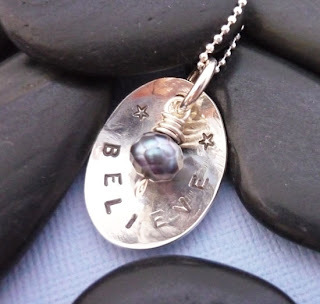 Our *Believe* pendant necklace is being given away to one lucky person who follows Jullee Petersen's 'My Fat Chance" UTube videos to help people with their weight loss! Jullee's done a fantastic job of motivating people by giving recipes to help with a healthy lifestyle, sharing tips and just being a great source of encouragement and support! She's announcing the winner of our pendant this Saturday, Februart 6th, so hurry on over and sign up and follow her instructions for your chance to win! MY FAT CHANCE - Give-A-Way Fun!